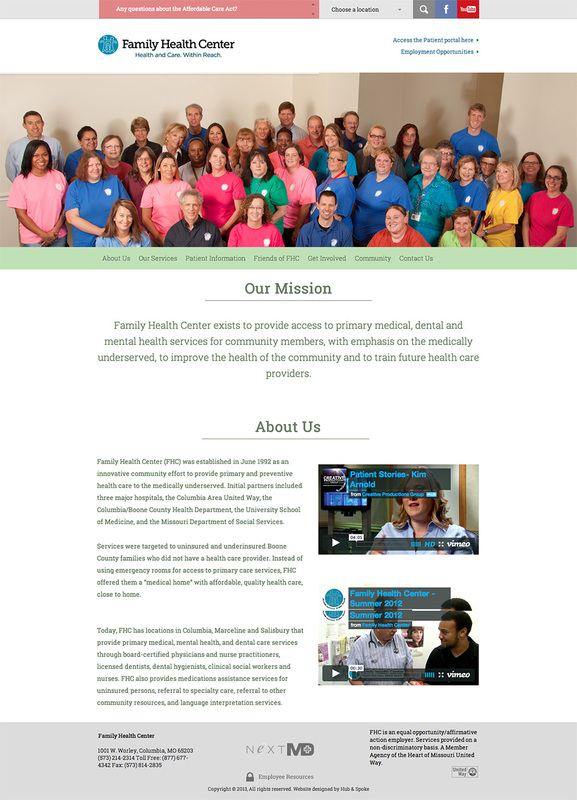 Hub & Spoke worked with the Family Health Center to create a dynamic and responsive website. Family Health Center came to us with a major concern. Their website was outdated and difficult for the staff to update. This meant they were not able to share vital materials with those needing them the most. For those not familiar with the organization, Family Health Center serves people across Mid-Missouri without adequate access to medical insurance. A majority of their patients are single mothers and children. 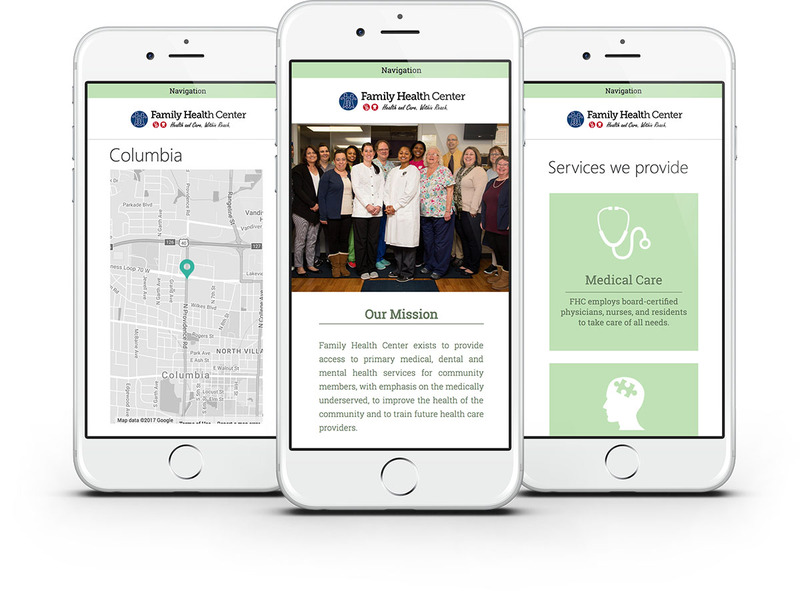 They needed an updated, easy-to-use website, so they could better serve their patients. We had an important task at hand. We needed to make this website accessible for both the patients and the staff. In order to tackle this issue, we set the new website up on Wordpress. 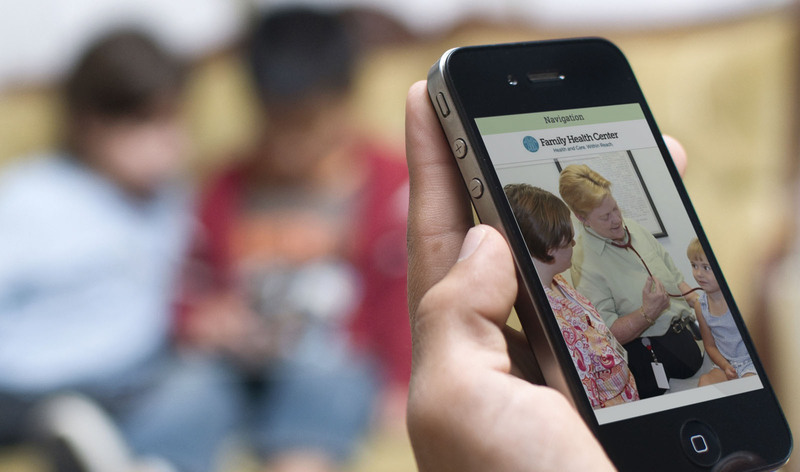 This allows the Family Health Center staff the ability to easily edit and add information as needed. Since the target audience for the website is single mothers and women, we added many elements that those two groups would find interesting and helpful. We also took this project one step further and updated the internal employee website, so they could easily access information from any location. 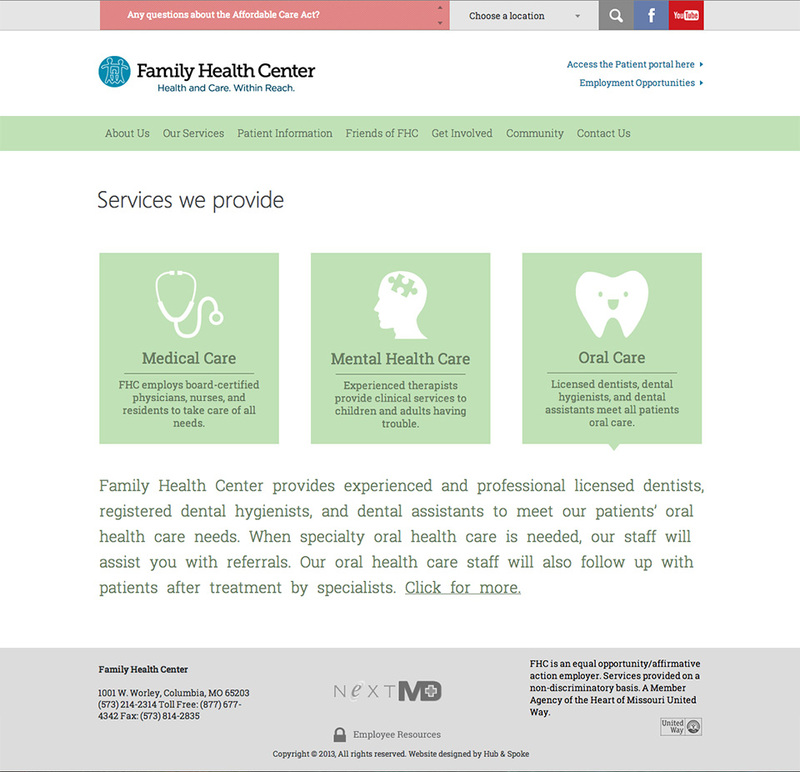 Family Health Center now has an easy to navigate, informative and user-friendly website. We were able to accomplish this with our experience in HTML5, CSS3, WordPress and responsive web design.